Bicycle Workshop & Women Café – THFwelcome e.V. 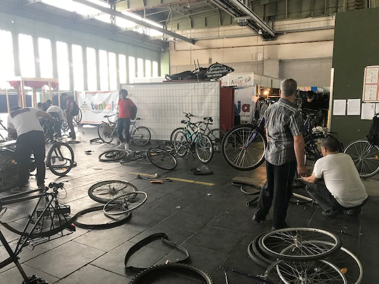 We give donated bicycles to refugees. In cooperation with them, we fix the bicycles up. 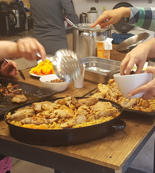 When: Every Thursday 2-7 p.m.
We help refugees to find their way through the administrative jungle and to find a proper place to stay… We organize social activities like cooking, tea time and excursions. When: Every Sunday 4-6 p.m.
Are you interested? Then, write an email to info@thfwelcome.de.